Craving something lemon? Hopefully these will make you pucker and smile! With electric mixer, cream butter and sugar. Add egg, lemon juice, and lemon zest; mix well. Stir together flour, baking powder, and salt; add to creamed mixture. Mix until well combined. Cover and chill at least 3 hours. Preheat oven to 375°. Working with 1/2 of dough at a time, on lightly floured surface roll to 1/4″ thick. 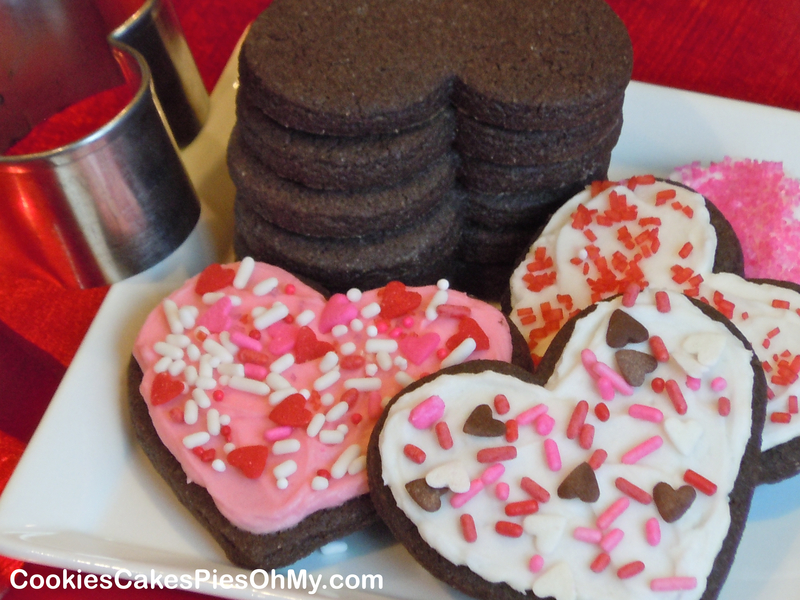 Cut with cookie cutter, place on ungreased cookie sheet or Silpat lined sheet. Bake 8 minutes or until edges barely start to turn golden. Cool completely before frosting. Whip butter with electric mixer until light and creamy. Add powdered sugar and one Tbl of lemon juice at a time until frosting is a creamy spreading consistency. Add yellow food color if using. 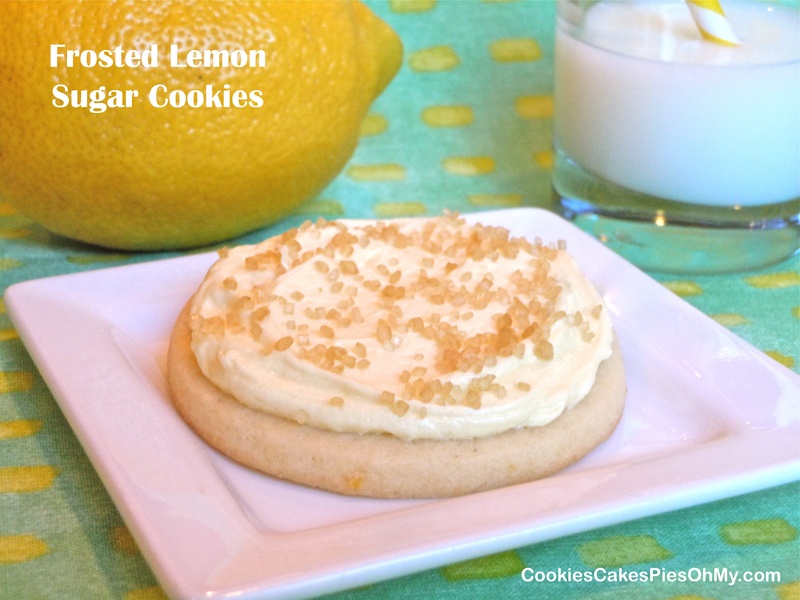 Frost each cookie and sprinkle with raw cane sugar if desired. 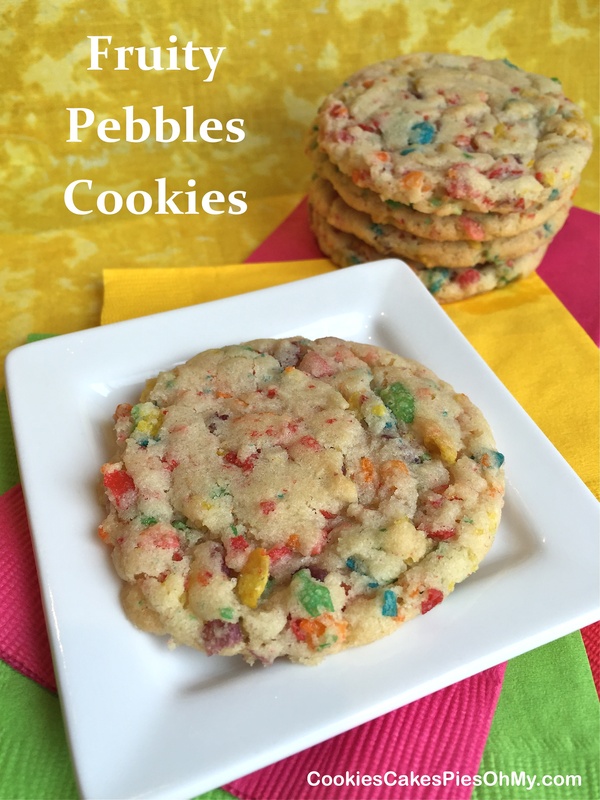 Makes 2½ dozen 2½” round cookies. 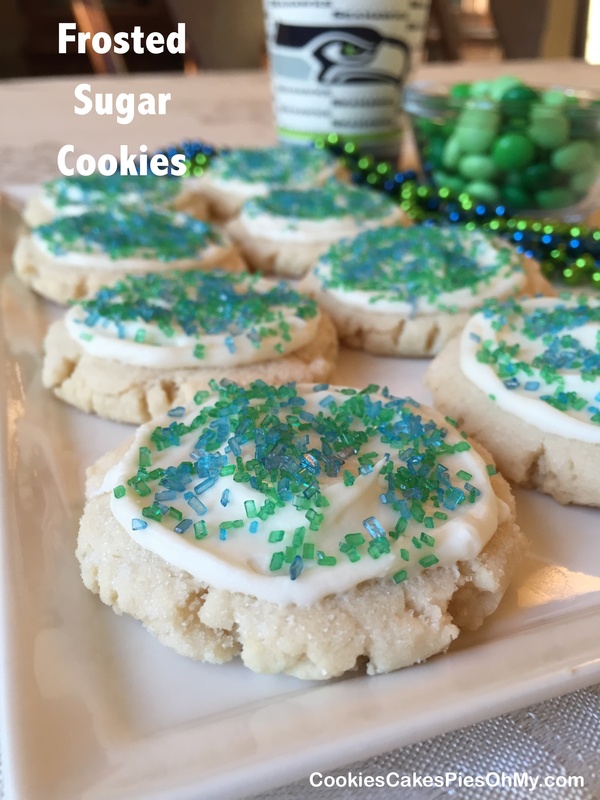 When you are craving a delicious frosted sugar cookie but don’t feel like doing the rolling and cutting, this is the recipe. Make the dough, press into pan, bake, and frost. It makes a large cookie sheet full. It was a hit with the whole family, gone quickly. 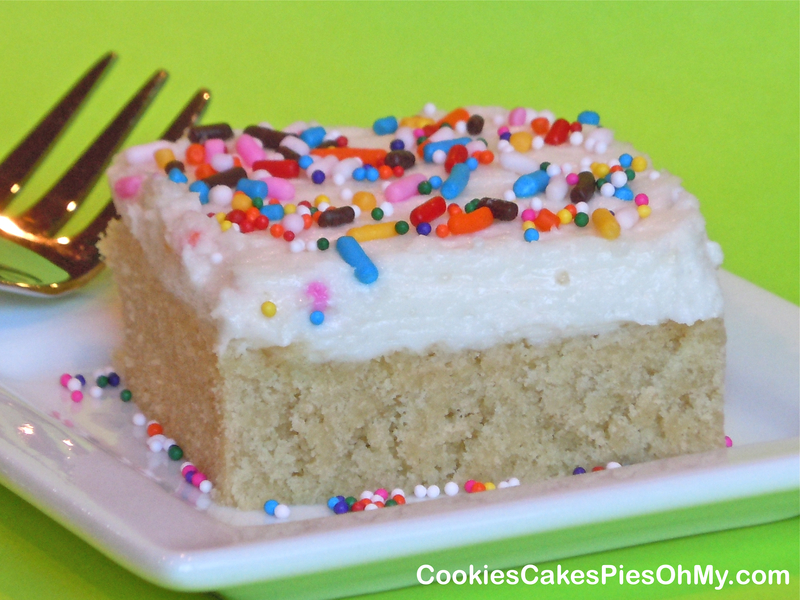 Tastes like a soft, creamy frosted sugar cookie in square form! Simply delicious! Preheat oven to 375°. With electric mixer, cream butter and sugar. Mix in eggs one at a time, add vanilla and mix well. Mix together flour, salt, baking soda, and baking powder. Add dry ingredients and mix well. Press into greased cookie sheet (mine is about 17″x12″). Bake 12-14 minutes. 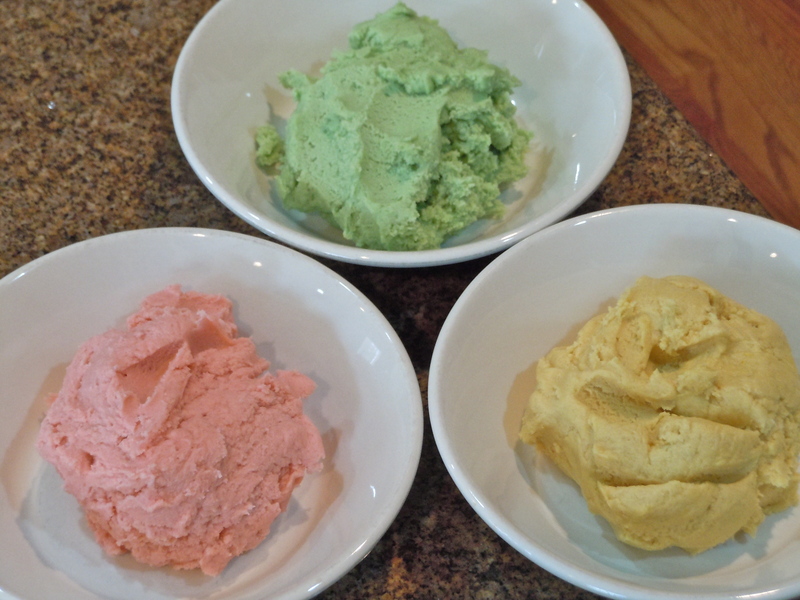 Whip all frosting ingredients with electric mixer (can put food color in frosting if desired). Spread over completely cooled bars. 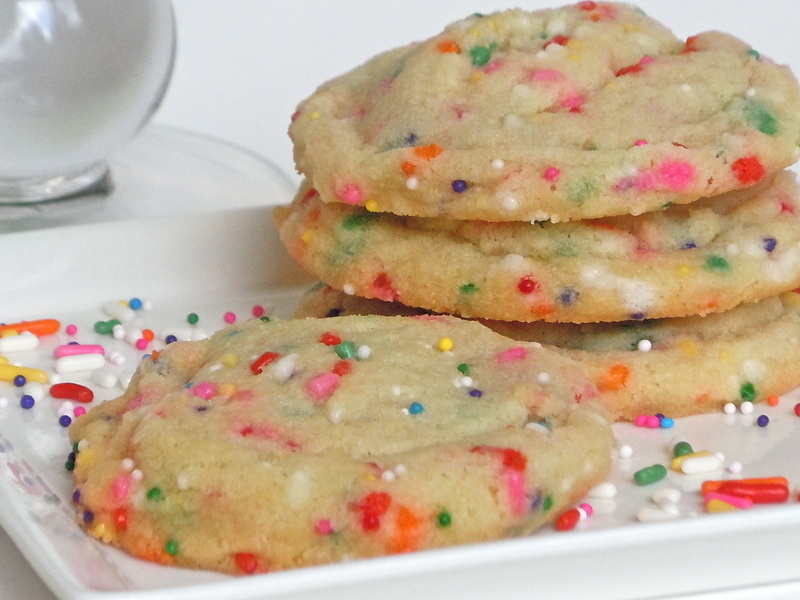 Sprinkle with colored sprinkles or jimmies. Cut into bars. I had to bake these just because I love sprinkles. 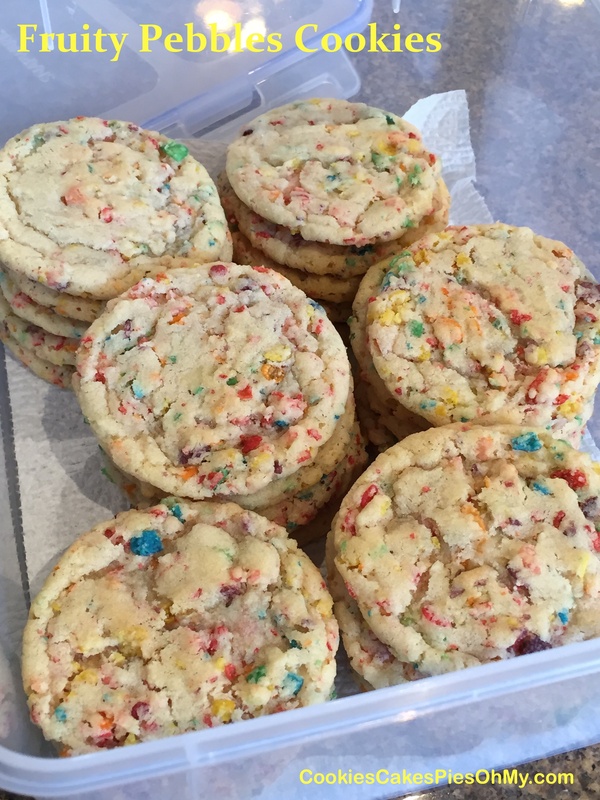 This cookie recipe is from fatgirltrappedinaskinnybody.com, so cute and good too! 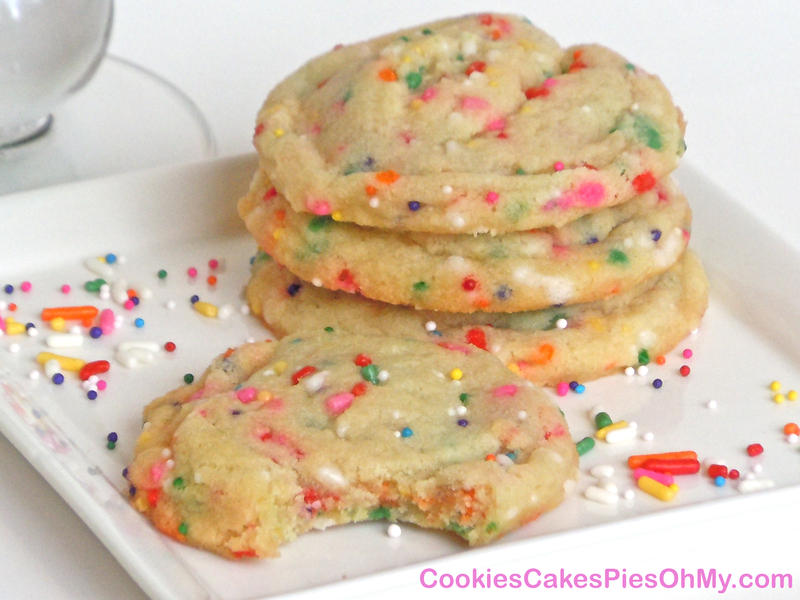 Tender sweet sugar cookies with the crunch and color of lots of sprinkles. Preheat the oven to 375º. Cream butter and sugar with electric mixer. Add *vanilla, almond, and *egg. Beat until well combined. In separate bowl, stir together flour, cornstarch, soda, and salt. Slowly add flour mixture to creamed mixture until well combined. 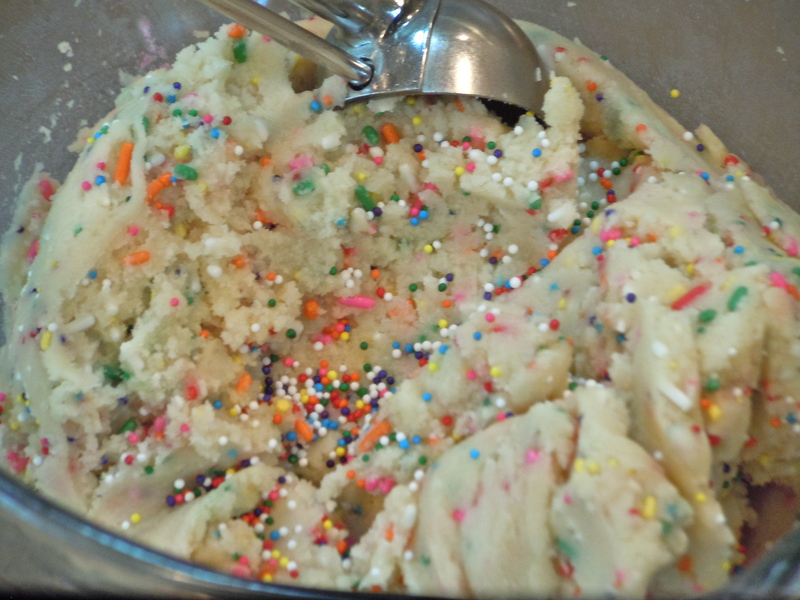 Gently mix in all the sprinkles (don’t overmix or sprinkles will start to bleed into the dough). Using 1½” diameter cookie scoop, drop cookie dough onto Silpat lined sheet. Bake for about 8 minutes. If making larger cookies, bake longer (watch closely). Only bake until they very slightly start to turn light golden brown just on the edges. Cool on a wire rack. * I wanted the dough to be as light as possible to show off the sprinkles. For vanilla I used clear vanilla and for the egg I used the egg white and 1 Tbl heavy cream (no yolk), totally optional. I saw this idea on Pinterest and had to try it. 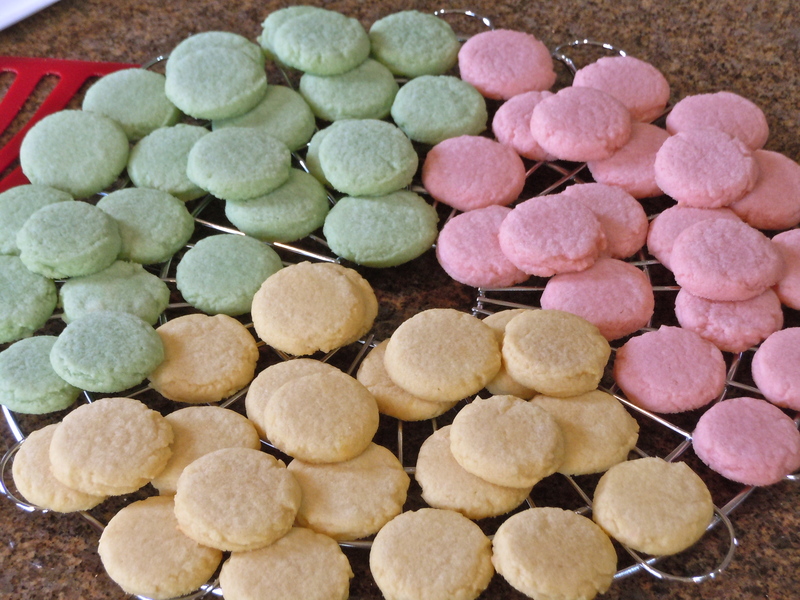 I used my favorite sugar cookie recipe and added food color. Frosting in between can be cream cheese frosting or buttercream (a flavored buttercream would be good). Cute! Preheat oven to 375°. Stir together flour, baking powder, and salt, set aside. Cream butter, shortening, and sugar with electric mixer. Mix in egg, milk, and vanilla. Add dry ingredients and mix thoroughly. Divide dough into thirds. Add a different food coloring to each, mix in thoroughly. 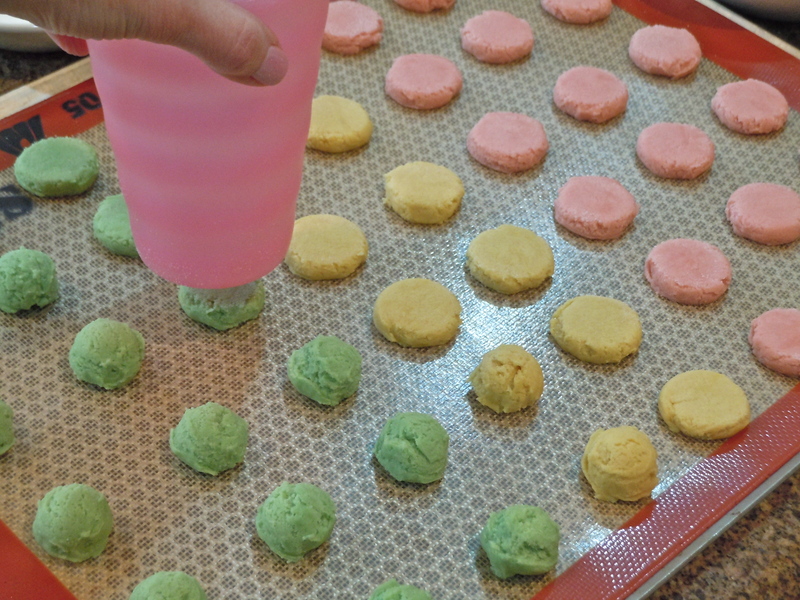 With cookie scoop (I used my very smallest), drop dough onto Silpat or sprayed cookie sheet. Dipping bottom of cup in sugar, flatten each cookie dough ball a little. Bake for 6 minutes. Cool on cookie sheet for a few minutes then transfer to cooling rack. Cool completely. 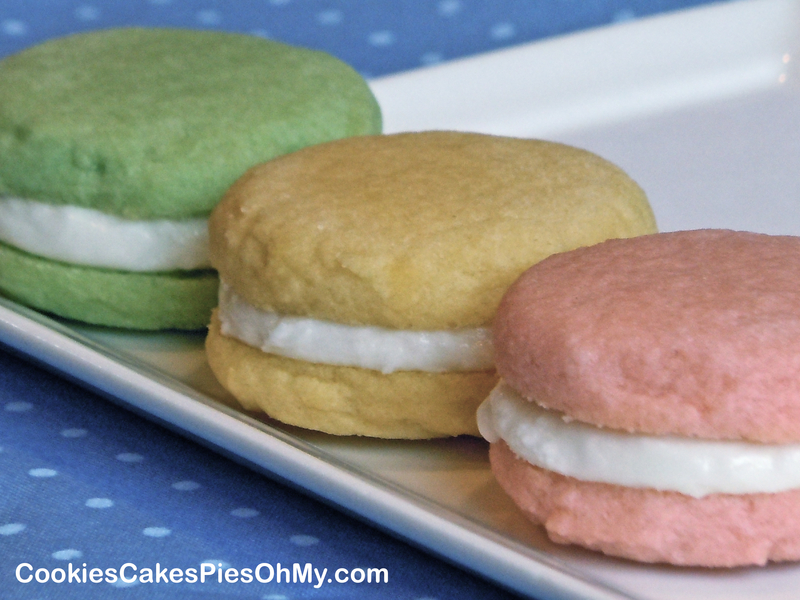 Put two cookies together with Cream Cheese Frosting (below) or Buttercream Frosting. With an electric mixer, beat butter, cream cheese, and vanilla until combined. Gradually add powdered sugar until desired sweetness and consistency. Most people love frosted sugar cookies, right? Well, this chocoholic believes if you add chocolate they can only get better! 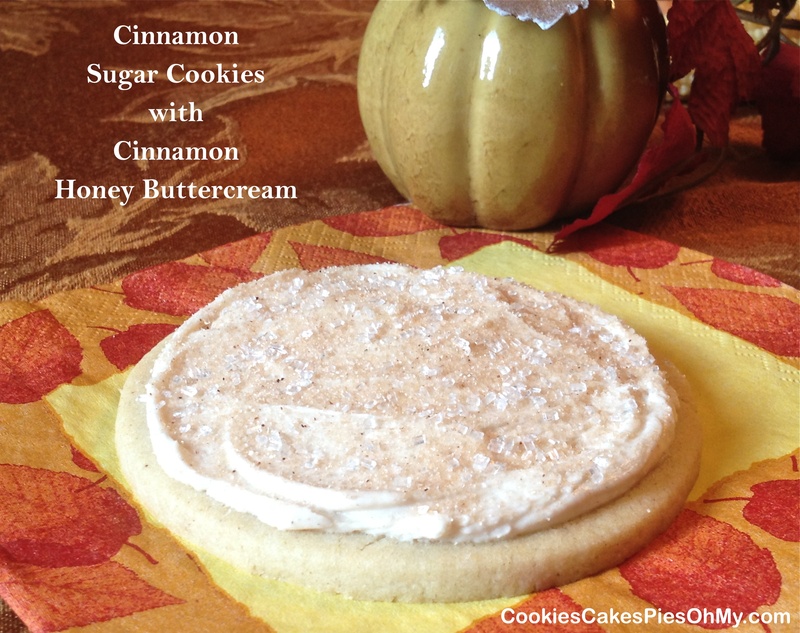 So, here is my favorite rolled sugar cookie recipe with a twist. Preheat oven to 375°. Stir together flour, baking powder, and salt, set aside. Cream butter, shortening, and sugar with electric mixer. Mix in egg, milk, and vanilla. Add dry ingredients and mix thoroughly. Cover and chill at least 3 hours. Working with 1/2 dough at a time, on lightly floured surface roll to 1/4″ thickness. Cut desired shapes, place on ungreased cookie sheet. Bake for 8 minutes or until edges barely start to turn golden. Frost with buttercream frosting. Makes 36 to 48 cookies, depending on size. Whip all ingredients together with electric mixer to creamy spreading consistency. Add food coloring and sprinkles if desired. MERRY CHRISTMAS! 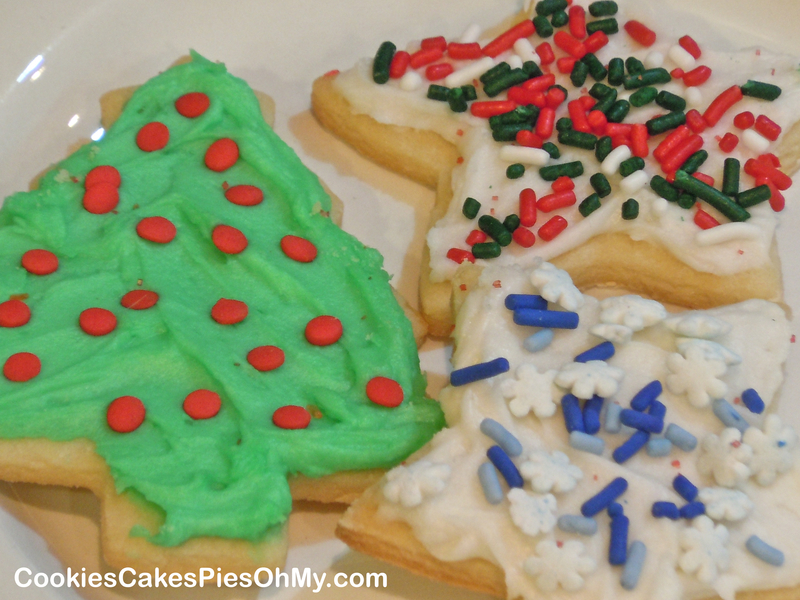 It just wouldn’t seem like Christmas without a day when we mess up the kitchen with frosting and sprinkles. 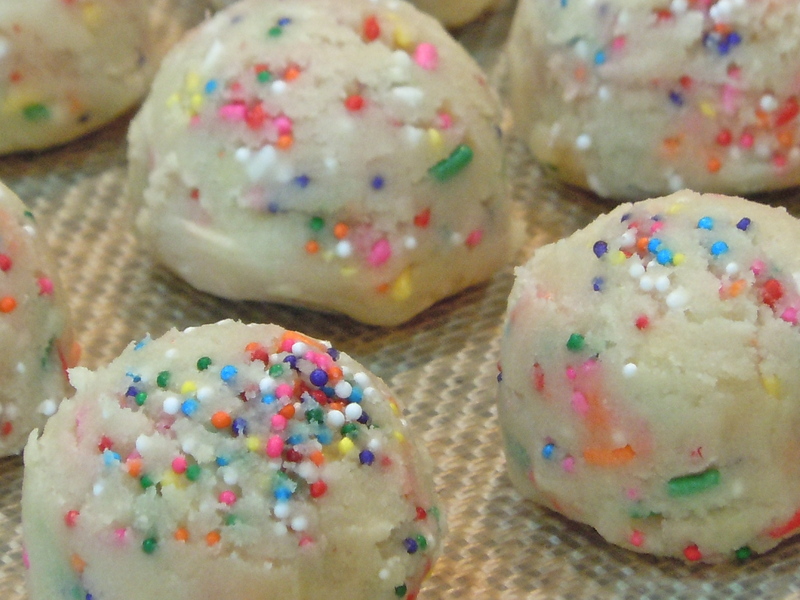 This is our favorite rolled sugar cookies recipe. It comes from the good ol’ Better Homes and Gardens red plaid cookbook I received when I got married 26 years ago. I couldn’t find this recipe on their website, maybe they think they have a better recipe now, but we think this is a keeper. Stir together flour, baking powder, and salt, set aside. Cream butter, shortening, and sugar with electric mixer. Mix in egg, milk, and vanilla. Add dry ingredients and mix thoroughly. Cover and chill at least 3 hours. Preheat oven to 375°. Working with 1/2 of dough at a time, on lightly floured surface roll to desired thickness (1/8″ to 1/4″). Cut desired shapes, place on ungreased cookie sheet. Bake for 8 minutes or until edges barely start to turn golden. Frost with buttercream frosting. Makes 36 to 48 cookies, depending on size. Whip all ingredients together with electric mixer to creamy spreading consistency.